You and your employees don’t need to be controlled by cigarettes any longer! In 2012, the CDC recorded that more than 42% of adults smoked, and more than 48% of high school students smoked. Deceivingly, a high percentage of those that do smoke may think that they can quit anytime – and sometimes don’t have the desire to quit at all. Sadly, many people don’t understand the health risks that come along with smoking cigarettes. Wellworks For You would like to introduce you to the best smoking cessation programs available. Tobacco smoke contains more than 7,000 chemicals, with hundreds of those chemicals causing harm to your body, and 70 that are cancer causing. Here at Wellworks For You, we want to create an environment that is completely smoke-free. With our smoking cessation methods, you will find resources and support to put you on the right track to a healthier life. Many times, these methods can work to help someone quit smoking.With the best smoking cessation programs offered through Wellworks For You, we incorporate different aspects of our services into one 6-week smoking cessation program. With the combination of these smoking cessation attributes, we pride ourselves in bringing our clients the best smoking cessation programs available. 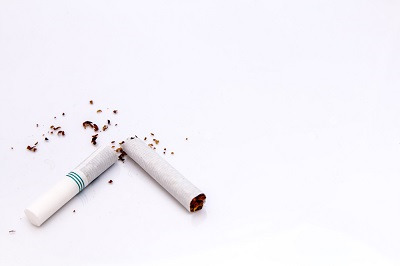 Why Would Smoking Cessation Programs Benefit My Company? That is a great question! Did you know that people who stop smoking greatly reduce their risk of disease? Smoking can cause something we like to call, Preventable Chronic Disease. Employees with preventable chronic disease cost your company more money than you bargained for. About half of Americans have chronic disease such as heart disease, uncontrolled blood pressure, and more. Some of these may be symptoms of smoking, or inhaling secondhand smoke. Those with chronic disease need to be seen in the hospital more often than those who do not have a chronic disease. This ends up costing your company more money in health premiums, absenteeism, and poor productivity per employee. Help your employees understand the importance of quitting smoking and provide them with the best smoking cessation programs to let them know that you truly care for their health and the health of their families. Give us a call today at 1-800-425-4657 to get started with our smoking cessation program.